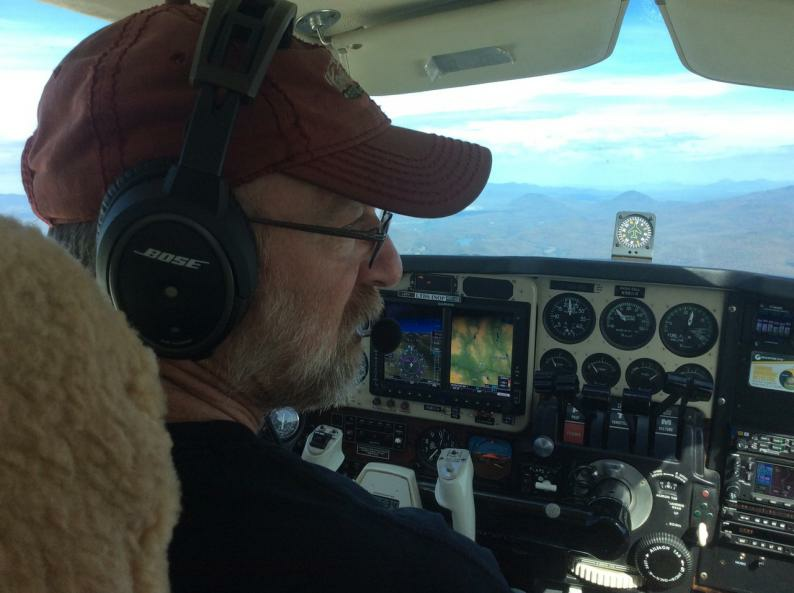 DEPARTURE FROM KMPV - Edward F Knapp State Airport - Berlin, VT. - Saturday, October 14, 2017 - AM Exact time of departure dependent on weather. Contact Michelle Guenard for departure details. ARRIVAL AT DCF - Canefield Airport. Dominica. ETA Sunday, October 15, 2017. The Yasme Foundation, Yaesu USA, the FAIRS foundation and individual donors to a GoFundMe campaign have joined forces to restore country-wide amateur radio communications on Dominica in the aftermath of Hurricane Maria. "Many ex patriot Dominicans wanted to buy ham radio stations for their home villages," explained Michelle Guenard, who started a GoFundMe campaign for this purpose. "With cell and internet services knocked out, the only news of their families and friends was gleaned through the transmissions of local operators." Tens of thousands of Facebook subscribers listened to her live stream of ham radio traffic relayed onto the internet via EchoLink. "But we knew the GoFundMe campaign couldn't raise the amount Dominica needed and we wanted to deliver a coordinated response," added Michelle's husband Brian Machesney, K1LI. Working with a network of contacts developed over decades of visits to Dominica, the couple established a partnership that has pulled together over US$30,000 of radio equipment and solar-charged battery power stations. When fully deployed, Dominica will be part of a robust local, regional and worldwide network of amateur radio stations. "Many of our members lost everything in the hurricane," wrote Joseph Raymond, J73RJ, President of the Dominica Amateur Radio Club Inc. "The donated equipment will dramatically improve our near-term ability to connect towns and villages all over Dominica and to stay connected well into the future." According to its President, Ward Silver, N0AX, "The Yasme Foundation began working with the Dominica Amateur Radio Club and Dominica's NTRC in 2016 to recruit and equip new operators for just such an emergency. We are grateful to Yaesu, FAIRS and the individual donors for joining us in this effort." Mikio Maruya, WA6F, Executive Vice President of Engineering for the Yaesu USA Amateur Division, said, "Radio amateurs routinely provide essential communication services to individuals, aid organizations and government institutions in the wake of disasters all over the world. Yaesu welcomes this opportunity to assist Dominica with its recovery from the devastation of Hurricane Maria." "Access to reliable power sources for ham radio stations is often overlooked when preparing for emergencies," wrote David Larsen, President of the Foundation for Amateur International Radio Service (FAIRS). 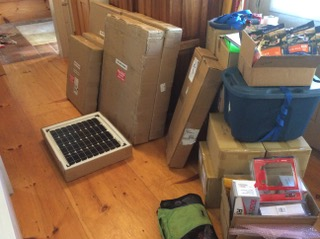 "These portable off-grid systems will help expand the coverage of Dominica's surviving repeater, permit 24/7 field operations by recharging batteries on handheld radios, and supply base stations in villages that are likely to remain without commercial power for some time to come." 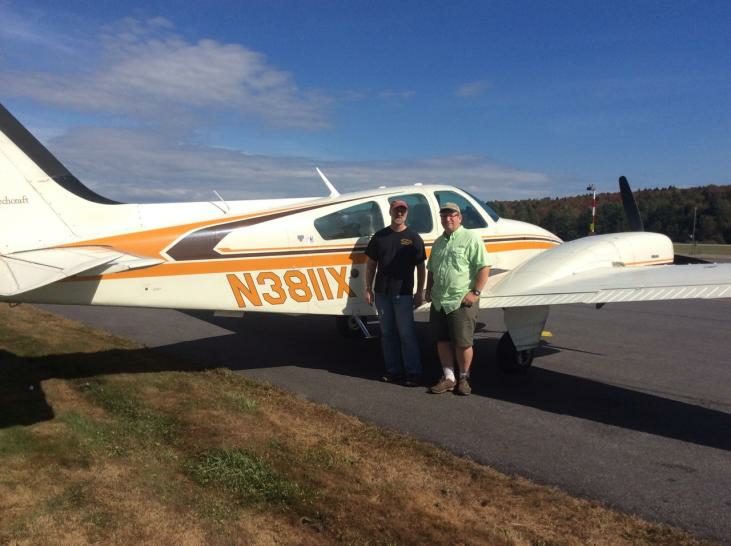 David Bridgham, N1AHF, will fly the donated equipment to Dominica from the Edward F. Knapp State Airport (Berlin, VT) in his twin-engine Beechcraft Baron B55. David has joined forces with the "Dominica Airlift -- Angels to Eden" to bring still much needed aid to Dominica from neighboring countries. We can supply Amateur Radio Operators on Dominica for interviews via FaceTime or other chats. Please contact Michelle Guenard to make arrangements. Attention Non-US based media. The CBS affiliate in Vermont, WCAX TV, was here October 12th at our home in Vermont. The videographer shot interviews with Brian and myself, as well as b-roll of ham radio room and gear being packed. Contact Garrett Heyns, assignment, 1-802-652-6364. The airlift will be departing the Edward F Knapp State Airport - KMPV - Saturday, October 14, 2017. EXACT DEPARTURE TIME DEPENDENT ON WEATHER. We are hoping for early morning departure but fog has been a problem. Please contact Michelle Guenard if you want to be updated on the day of departure. I will also shoot iPad video of loading and take off. TECHNICAL BACKGROUND ON THE AMATEUR RADIO TRANSMISSIONS FROM DOMINICA - AND HOW WE WERE ABLE TO REBROADCAST. This is the simplified â€œlay personâ€ explanation. The a Dominica Amateur Radio Club Inc. as known as DARC I from now on, is made up volunteer hams who buy their own equipment and pay for their own training and licensing. Hams on low power radios need line-of-sight to broadcast to each other. Since Dominica is mountainous, they installed several repeaters at the summits to talk to each other. A signal on one side of the island goes up to the repeater, then back down to a ham on the other side. The Dominica repeaters can also transmit those signals to other repeaters on other islands - in our case, a repeater on St.Lucia. The St.Lucia repeater was staffed and maintained by Frans van Santbrink - J69DS. Frans inputted his signal from Dominica into a web-based system for hams called Echolink (only accessible to other licensed hams). Up in Vermont, Brian Machesney - K1LI - accessed the Dominica signals on echolink. His wife, Michelle Guenard, aimed her iPad at the speaker and broadcast the live feeds on the DARCI Facebook page. It was not ideal but it was last minute, and it worked. Please note that only one repeater on Dominica survived the hurricane, and only a handful of hams on the ground had radios that were still intact. Included below are shotcut links for viz, audio and BG. You can find Dominica expats in YOUR AREA by going to the REVIEWS - at the top of our a Hurricane Maria - Dominica Amateur Radio Communications Page. There are comments from 130 Expats. Many say where they live now, and why this page was so important to them. Contact Michelle Guenard if you need assistance. 1) FIRST POST FROM DOMINICA - 8:38PM, Sept.18. Local ham Hilkiah Lavinier - J72HGL - sent a video from his balcony. Hurricane Maria knocked out our link minutes later. He sent a message saying hed lived through Erika and this was much worse. He wouldnt make contact again for 2 weeks. Sent at 8:30PM by Hilkiah Lavinier, Roseau. 2) OUR FIRST LIVE FEED - 4:02PM - Sept.19 - 67,000 people tuned in. 700 comments of people asking about family. 3) BY 8PM, 107,000 people listening in. 1,700 comments of people asking about family. On September 21, the government set up a WiFi hotspot outside the government run DBS (Dominica Broadcasting Service) station. I received these photos of hams. The comments are thanking them for giving them hope. 5) VIDEO OF HAM RADIO OPERATOR AT EOC - taken September 23, 10:07 PM - Ham operator Kerry Fevier - is coordinating medivac flight with French warship. This was fed and loaded on the page after he left the island. 6) ONE WEEK ANNIVERSARY - I wrote this post summarizing the past week. 70 comments. Very touching. Many still looking for families. 7) SEPTEMBER 28- HAM RADIO BATTERIES ARE DYING - communications falling apart. We send out a plea and get generator and marine batteries donated flown in by Liz Chiz-Metawi and her husband Richard - Dominicans who evacuated to Guadaloupe, then set up their own fundraiser to fly back urgently needed supplies. 8) SEPTEMBER 28 - We are contacted by Dominica Airlift - Angels to Eden. They volunteer to immediately fly down 10-handheld radios (walkie talkies bought with gofundme dollars) to fill urgent holes in communication. They also brought radio equipment to facilitate the Dominica Airlift operations. 9) Through our network of Dominica ham radio contacts, we receive offers of equipment from The YASME Foundation, Yaesu USA (a leading equipment manufacturer) and the Foundation for Amateur International Radio Service. (FAIRS). Combined value of equipment and donations is $30,000. 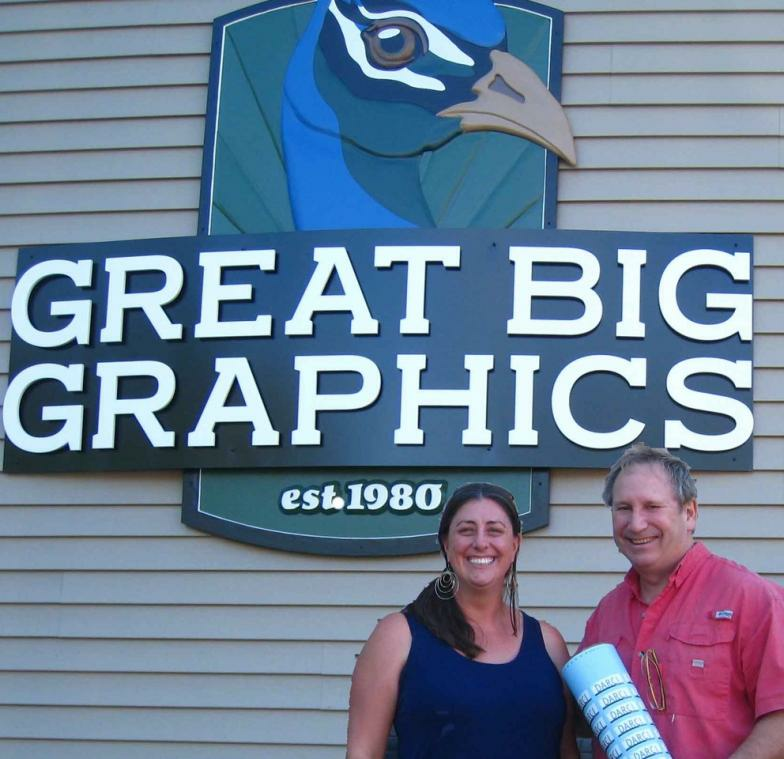 Local Vermont company Great Big Graphics donates ID stickers for equipment. 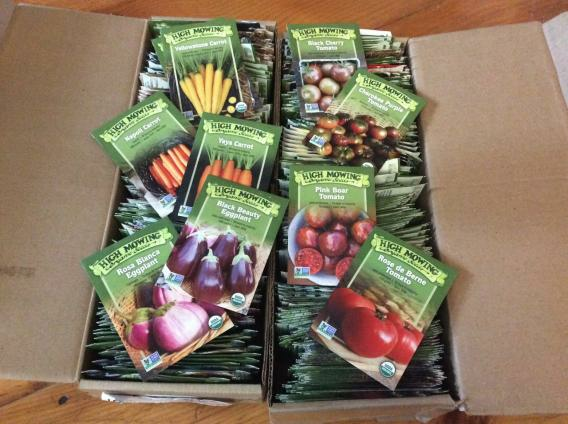 Tom Stearns of High Mowing Organic Seeds donates 5 pounds of organic seed. 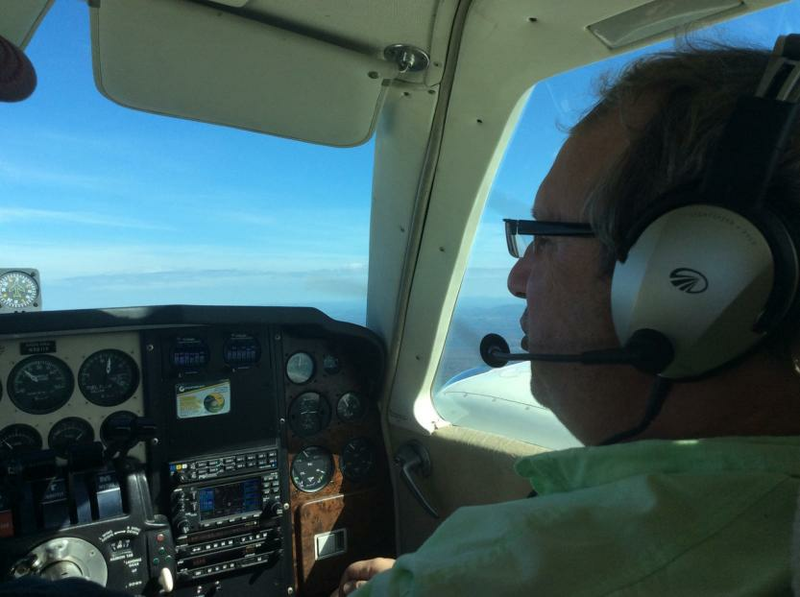 10) DEPARTURE DAY FOR DOMINICA - Saturday October 14, 2017 from Barre/Montpelier with Dominica Airlift - Angels to Eden pilot Dave Bridgham of New Hampshire. Exact time TBD - depends on weather conditions. Photo taken last week. Photo: Dave Bridgham left. Brian Machesney right. Almost a month after Hurricane Maria there are still families waiting to hear whether their loved ones are alive or dead or in serious need of medical attention. Once this equipment arrives and is installed throughout the island we will have achieved our goal, To Provide Every Human Being on the Island of Dominica with the Ability to Call for Help.